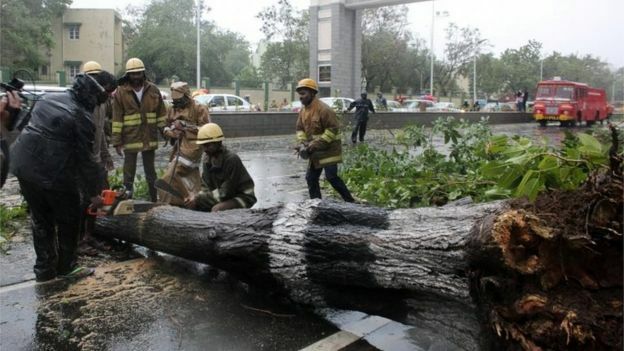 Cyclone Vardah hit Chennai on December 12th causing widespread damage in our area, especially the bible college and the churches (the roofs have been damaged on three of them). Our dinning area has been totally damaged, as well as the toilets and kitchen area. For the last 10 days we have not had electricity, and most of our electric posts have been damaged. We also have a huge problem with water and basic needs. Please pray that we will be able to come back from this situation. We need to rebuild our dining area, kitchen, water tanks, electrical work, and toilet roof. We also need to buy a generator. Your prayers and support will be a huge help in these difficult times. If you would like to help with the repairs, you can click the Give tab, choose Great Harvest/India, and put Cyclone Vardah in the memo. But most of all, please pray for us. Thank you!